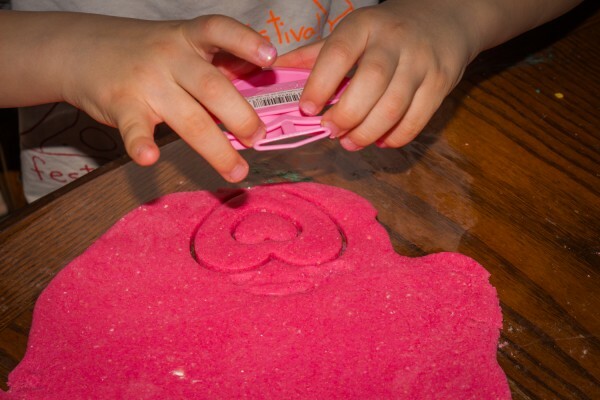 Play dough is always something we have around for the kids to use in our house. 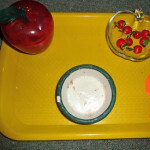 It is such a great sensory medium for kids to use, and given tools to play with it they can play for hours. We decided to make some Valentines Day Playdough when it was time to make a new batch of playdough since Valentine’s Day is right around the corner. 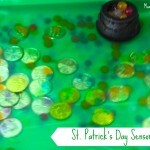 Even as my kids get older they still love sensory ideas. 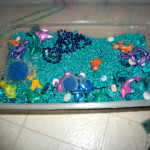 They will play in bin or with play dough for hours. 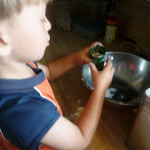 We make our own play dough a few times a year and keep in in containers and they last for quite a long time. 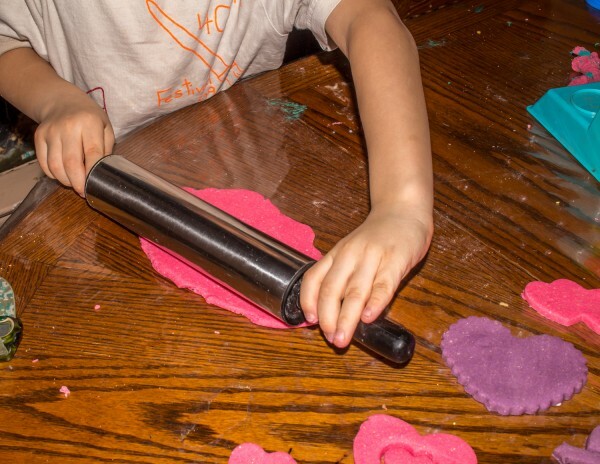 The play dough recipe I use is from Imagination Tree it is our favorite, since it is no cook play dough recipe and because it lasts for a long time. We do add glycerin to it as well, since it really makes it softer dough. So I might have a slight glitter obsession 😉 , I’m the mom that lets the kids use glitter even if it means we all walk around with glitter on us for days lol. 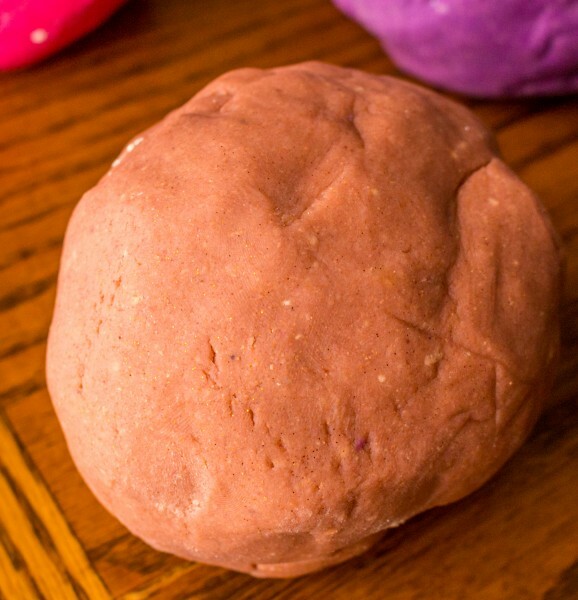 We added pink glitter to pink playdough, purple glitter to purple playdough, and the brownish glitter to brown play dough. I have purchased this set and have used it for many years now. 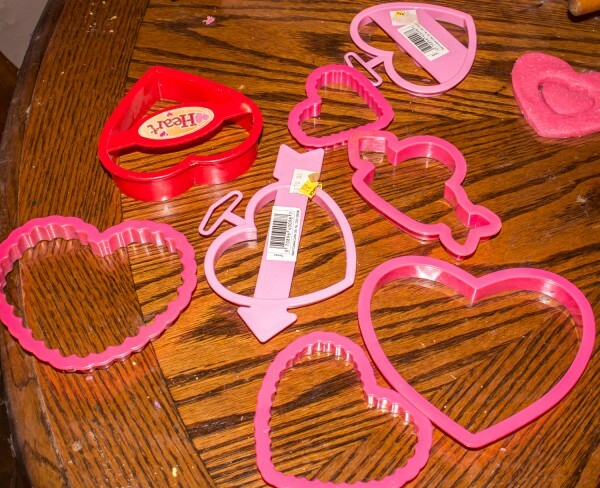 We have collected many different cookie cutters over the years, a few were purchased separatly at the thrift store over the years, the rest came in THIS big set of cookie cutters we purchased one year. We always use gel food coloring in our play dough because it makes the colors more vibrant and uses less coloring then the liquid food colors do. 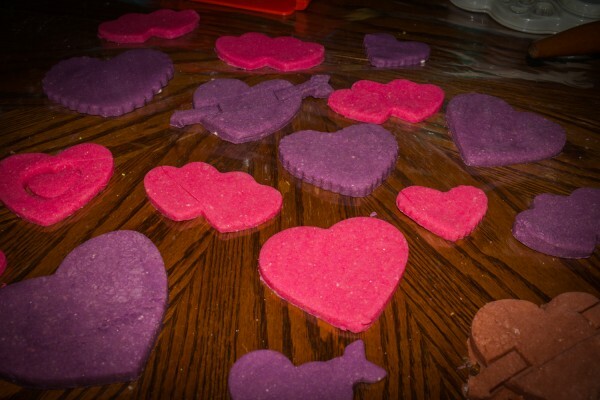 Since we were making Valentines day playdough we decided to make a double batch of the recipe and then split it up into 3 colors, pink, purple, and brown. The rolling pins are always great fun to use with play dough, we do have little rolling pins but the kids prefer to use the big ones instead. I have ended up purchasing an extra one from the dollar store to keep with the play dough stuff. 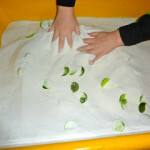 Well, some of the kids would rather use their bodies instead of a rolling pin :-D, it’s great sensory input anyway lol. 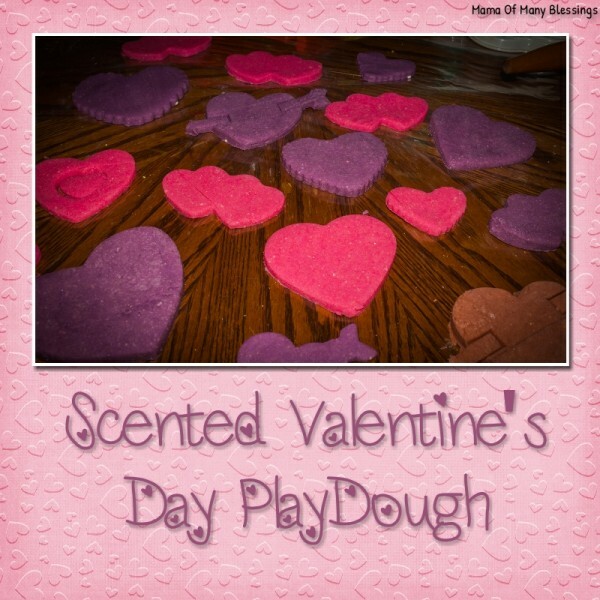 The kids have pulled out the valentines day playdough quite a few times already since we have made it, and I’m sure it will continue to get plenty of use. 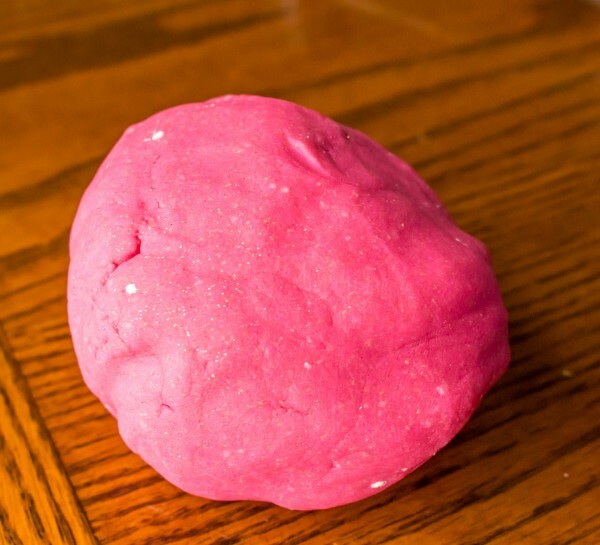 What are your favorite things to add into your kid’s play dough? What are their favorite tools to use with play dough? Leave a comment letting me know, I would love to hear from you! 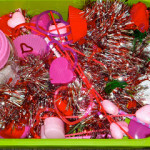 I have put together a list of all the Valentine’s Day Ideas we have shared over the years on our Valentine’s Day page. 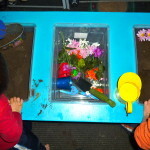 Stop over for some more great ideas for kids. 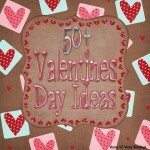 My Valentine’s Day Ideas board has many other great ideas as well, stop over and see what you can find. 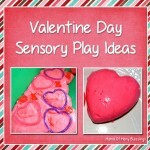 Follow Mama Of Many Blessings’s board Valentines Day Ideas For Moms And Kids on Pinterest. I am linking up with these great linky parties, stop over for some great inspiration. Thank you so much!! 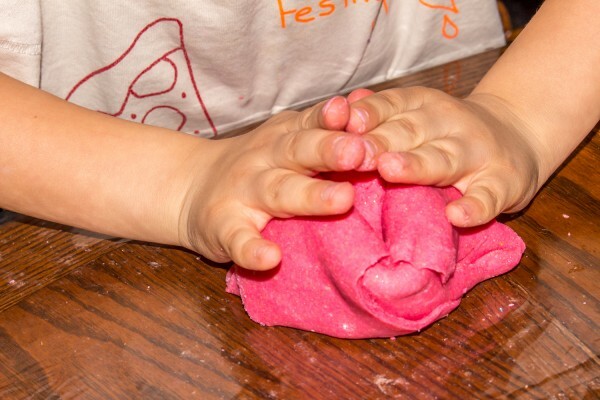 Play dough is something we always have around the kids LOVE it. The fact that it lasts for so long is one of the reasons that we continue to use this recipe it is great!! Ethan is my kiddo that makes us laugh due to coming up with silly ideas, like rolling the play dough with his stomach lol. Working on my photography for the blog has been something I have been working on to improve over the last year, I’m glad to hear my hard work on it is noticeable! Essential oils are used regularly around our house, sneaking some into play dough is just one great way to help uplift or calm the kids. 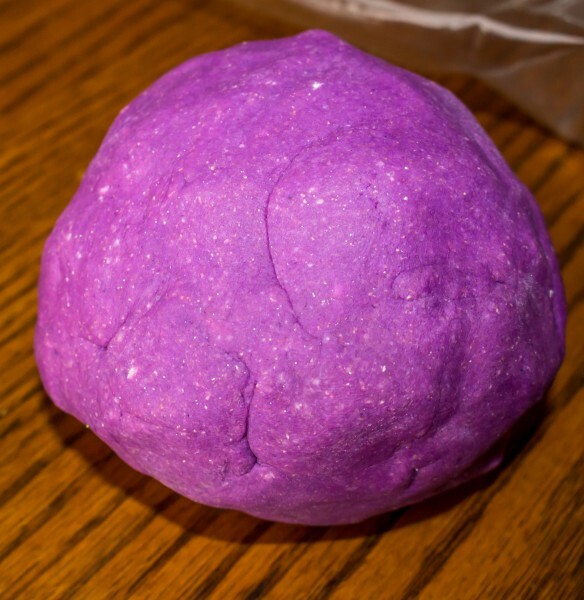 I have never though to add dried lavender to the play dough though. I would have thought it wouldn’t have bothered kids, but I guess it might. Thanks for stopping by. Have a blessed week! We don’t always add glitter or scents, but it sure does add a new level of fun for the kids when we do. I’m sure your son would love it! Have a blessed week! I love this! 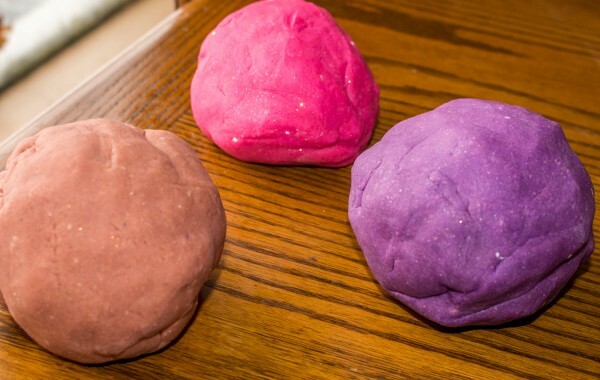 My girls love playdough – it keeps them busy for hours! 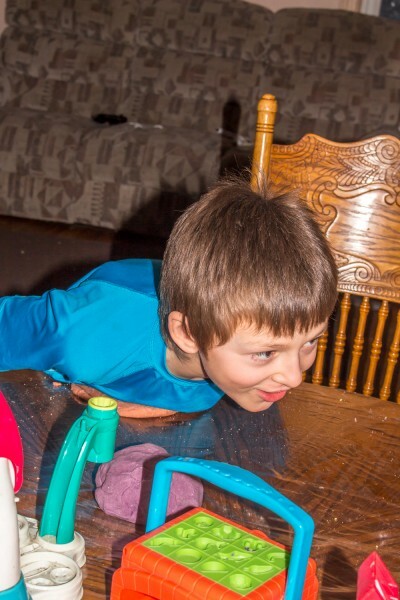 It is amazing how long kids can play with Playdough mine will play with it for hours too. Thanks for stopping by!! Oh, I have girls who love glitter! And I think even my older girls would still like this. 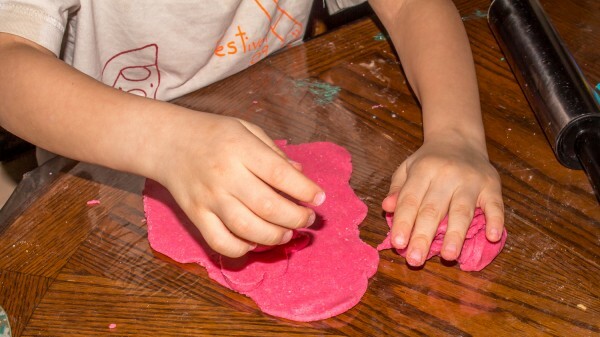 They still enjoy it when I make a batch of homemade playdo. My kids love glitter and so do I! 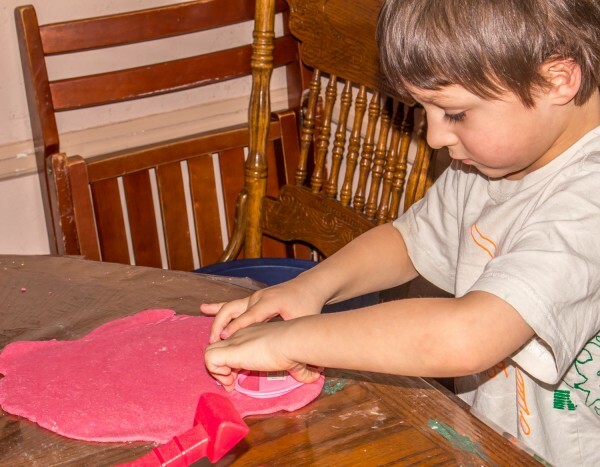 My older boys still enjoy playing with play dough too, it’s such a great activity for kids of all ages! Thanks so much for stopping by. It sure is a lot of fun. 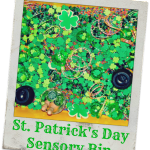 Sensory ideas are a must in our house, it helps calm my high energy kids. Thanks so much for commenting.